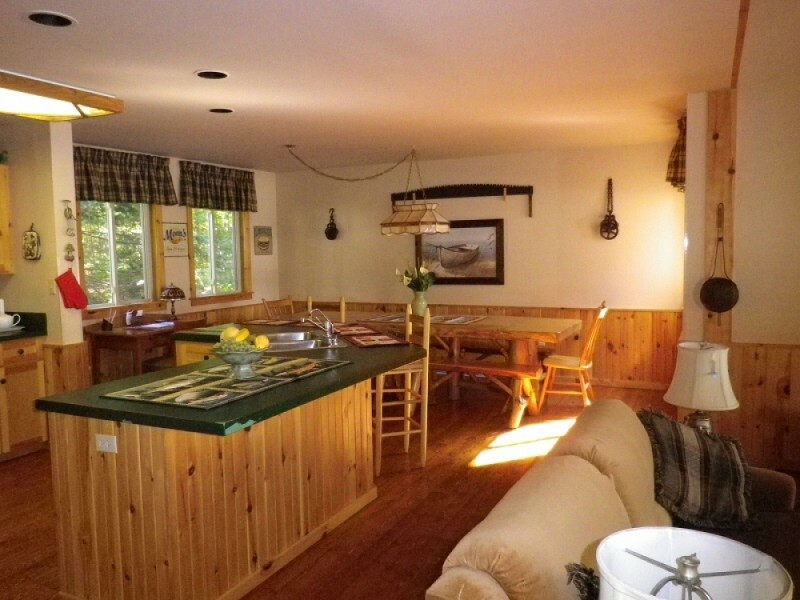 Appliances and furnishings: cottage fully-equipped, refrigerator, stove, dishwasher, washer/dryer, utensils, coffee maker, toaster oven, micro-wave, television, canoe, paddle boat, fire pit, barbecue, air tight woodstove, deck, etc. 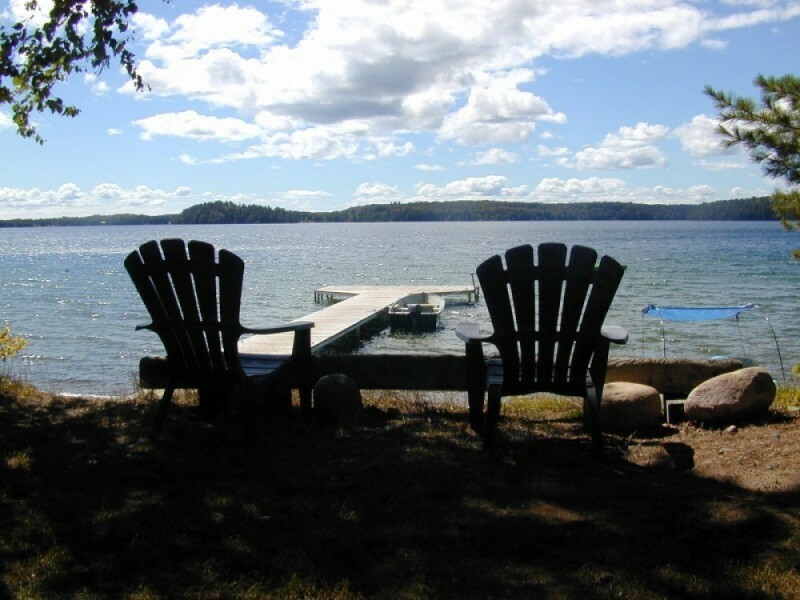 The Beach House is a modern well insulated, 1700 sq',four-bedroom, two-bath executive cottage on Big Basswood Lake, well suited for two families. New roof, soffit, facia and exterior paint completed in 2018. 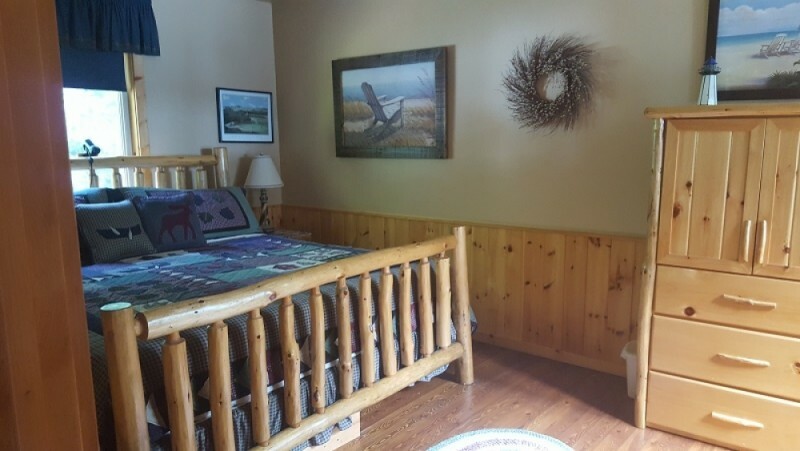 Two bedrooms have queen beds. 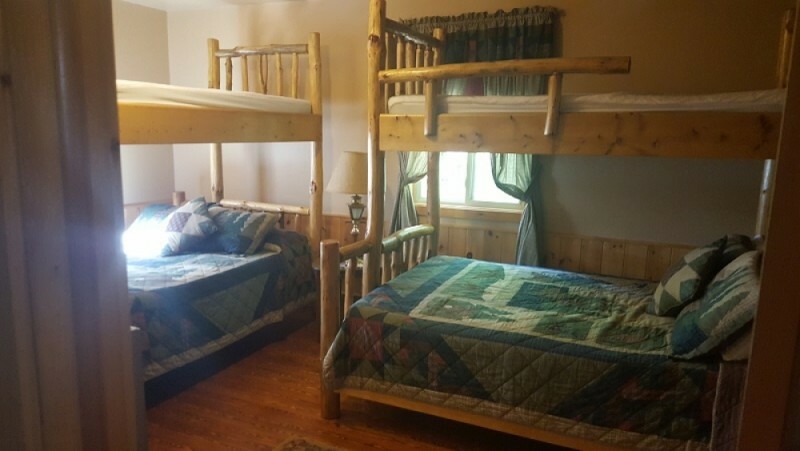 The third bedroom,"The Bunkie", has one bunk bed, and the fourth extra large bedroom, "The Bunk House", has two bunk beds. 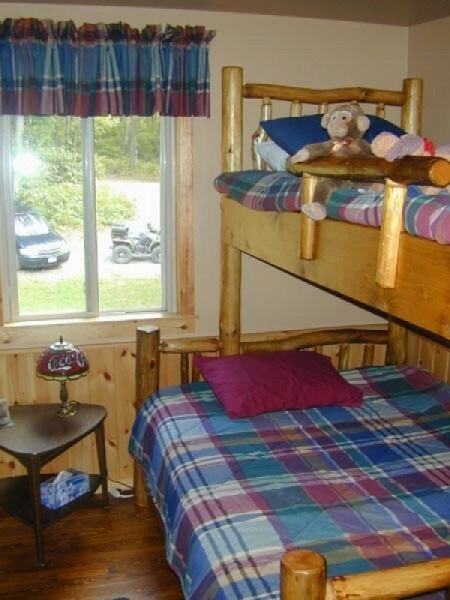 All bunk beds have double bottoms with box springs. 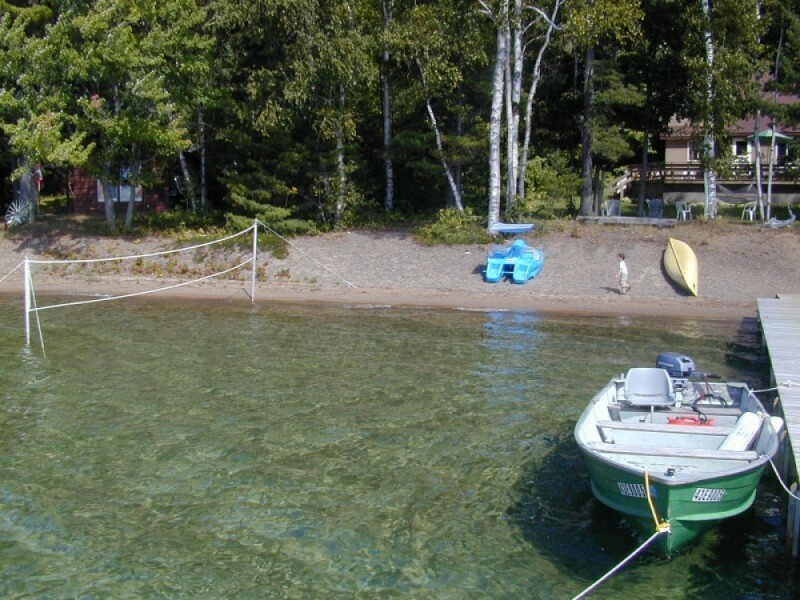 The Beach House has a southwest exposure on a flat lot with a sandy beach and safe gradual sandy lake bottom. 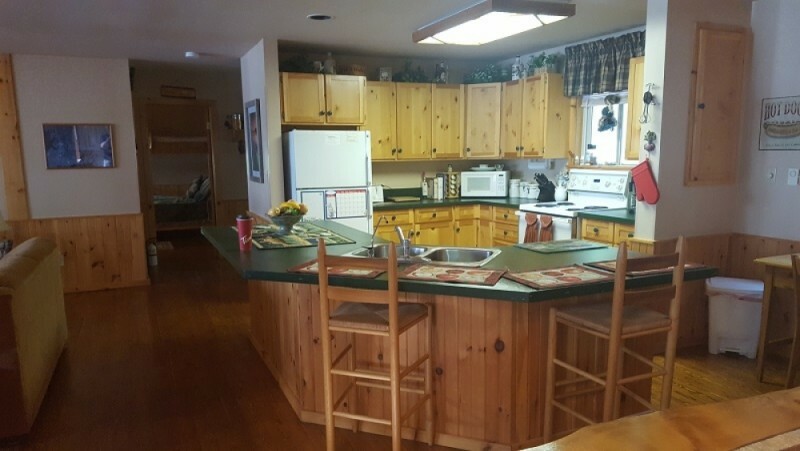 The open concept nicely incorporates the kitchen, island with sink & seating, dining, and living rooms. 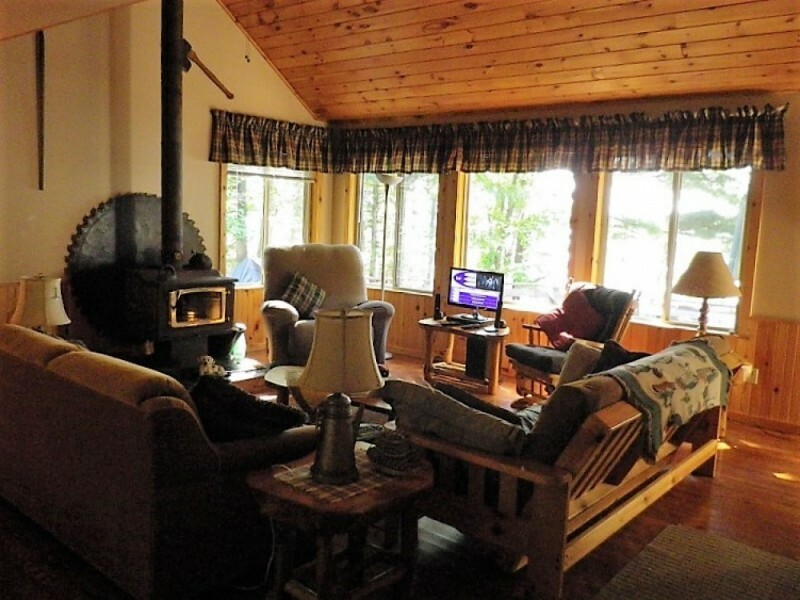 The Beach House has large windows throughout and a smart combination of country and rustic decor. 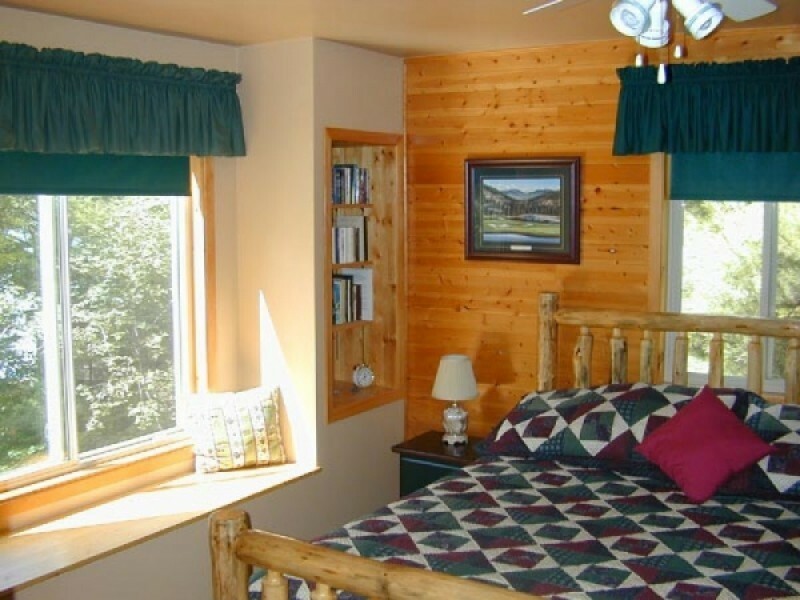 The upstairs bedroom walkway overlooks the knotty pine cathedral ceiling and cozy living area below. 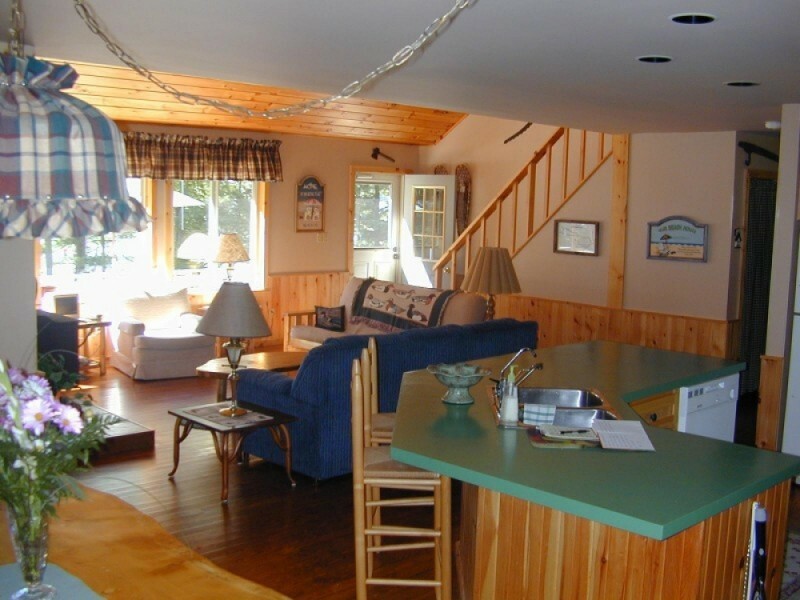 All rooms and walkways are accented with knotty pine wainscoting. 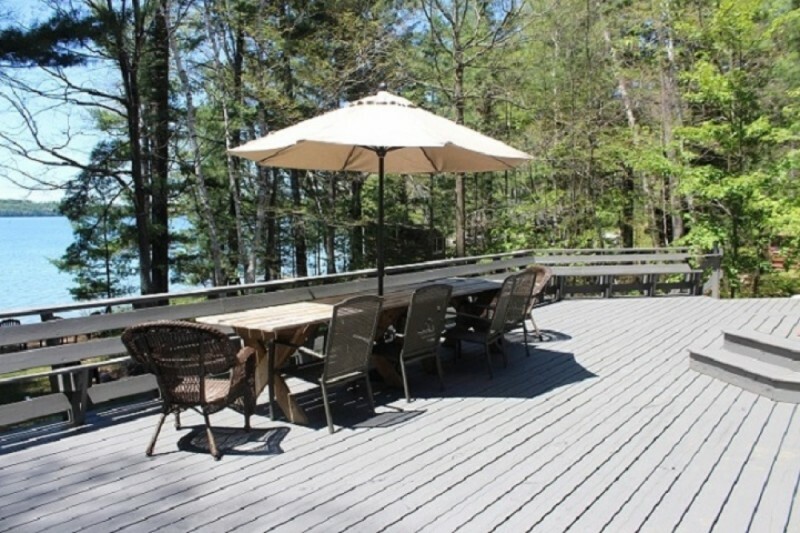 Step from the living room to the spacious, sunny, lakeside deck with two end to end picnic tables, wrap around seating, lounge chairs, and barbeque. Walk from the deck to the front lawn. Enjoy a campfire, horseshoes or relax in the hammock. 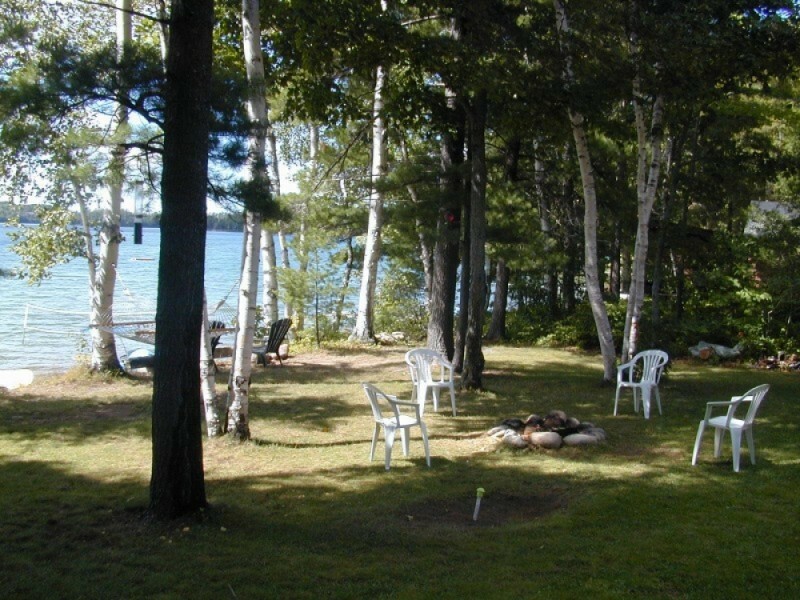 The lawn merges onto the beach where a "T" shaped 70' dock with table & chairs await your enjoyment. Then swim out to the Beach House raft. 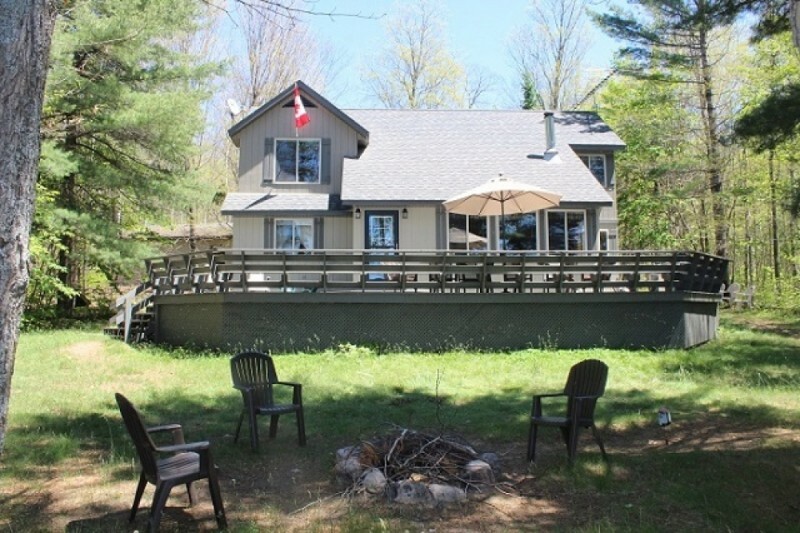 From the back porch is the rear deck with table and chairs. 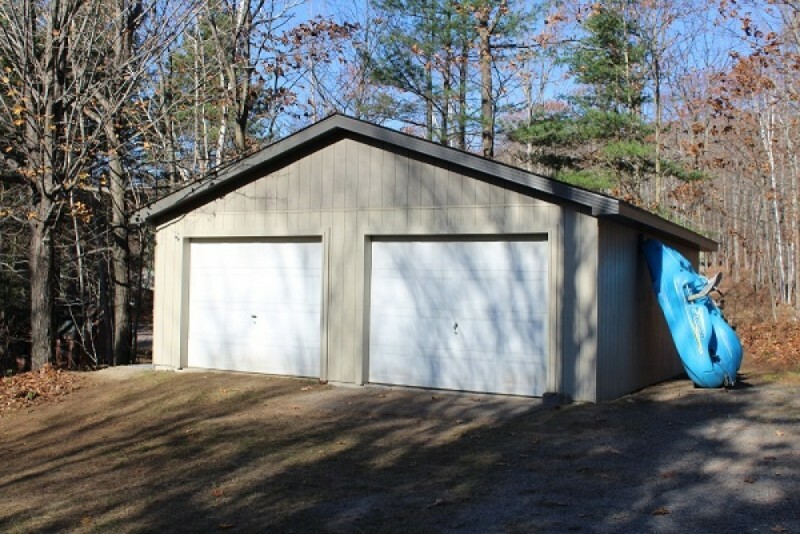 Across the lawn is the two car garage and circular driveway. 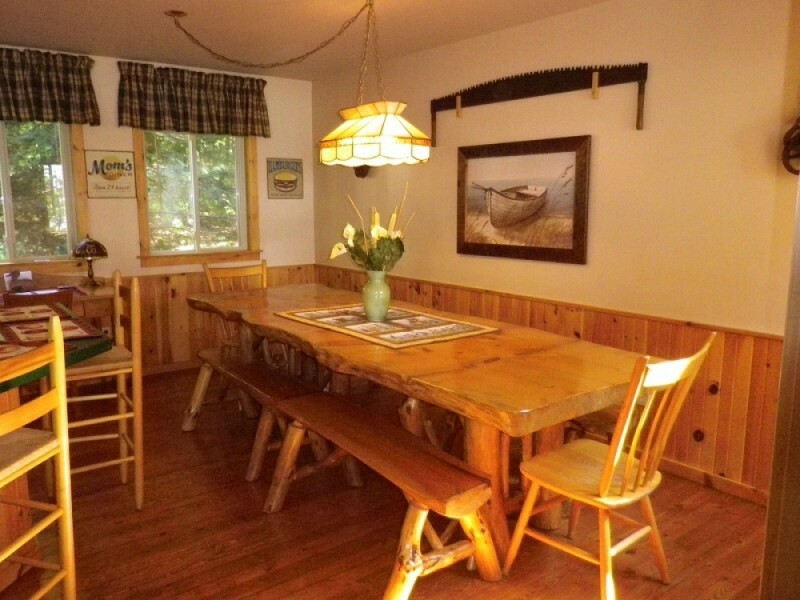 If hiking, berry picking, ATV riding or cycling are on your agenda, the Beach House offers close proximity to extensive tracts of Crown Land and miles of rural one lane roads as well as Ontario's Voyageurs Hiking Trail. 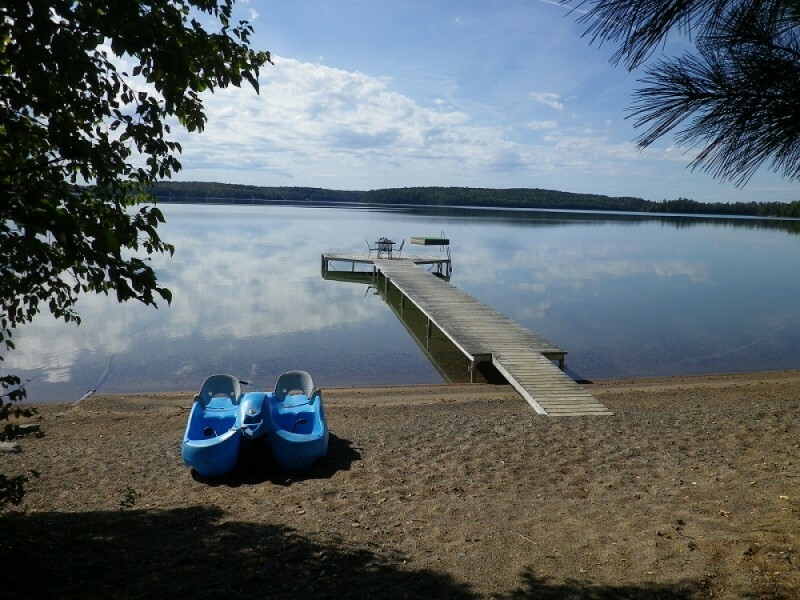 The Ministry of the Environment has recognized Big Basswood Lake as one of the top ten clearest lakes in Ontario. It is spring fed, crystal clear, approximately ten miles long, up to three miles wide and ranges 300 feet deep. Fishermen seek lake trout, whitefish, bass and perch. Approximately 3/4 of the shoreline is in its natural uninhabited state including majestic granite bluffs, as well as secluded sandy beach coves. The Beach House is in very close proximity to Canada's Voyageur"s Trail and extensive tracts of Crown Land.